Daniel J. Ladd, Jr., DO is the Medical Director and Founder of Tru-Skin Dermatology in Austin, Texas and the 2018 President Elect of the AOCD. He earned his BA from the University of Texas at Austin and received his medical degree from Des Moines University in 1999. He completed his Dermatology residency at the Northeast Regional Medical Center in Kirksville, Missouri in conjunction with the Dermatology Institute of North Texas in 2004. 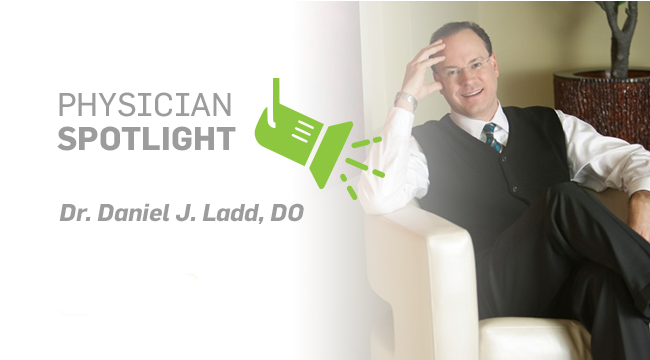 In addition to general dermatology and cosmetic dermatology, Dr. Ladd is board certified in Mohs micrographic surgery. He is a member in good standing of the American Academy of Dermatology, American Osteopathic College of Dermatology, the American Society of Dermatologic Surgeons and the American Society of Cosmetic Dermatology and Aesthetic Surgery, as well as a Member of the American Society of Mohs Surgery. Dr. Ladd is a lifetime member of the Skin Cancer Foundation’s Amonette Circle, an elite group of the country’s foremost dermatologists and Mohs surgeons who have made a commitment to skin cancer education and prevention.